India: More Truly Inspiring Animal Rescue Videos From the Superb Team At AAU – Watch Then Donate Please ! Rejoice and be proud of the wonderful rescues you helped us achieve during the past two months. This is a team effort–and as a supporter, you’re behind every smiling face and wagging tail. Each video you see here has a beautifully HAPPY ending, so don’t be afraid to open them–we know you’re going to find these extraordinary stories of healing and hope absolutely uplifting! SAV Comment – very sad starts; but every video ends up showing what can be done to help animals in so much need if people are prepared to accept that they are sentient beings just like us – they hurt, they suffer; but with the brilliant work of the team at AAU each and every one of these stories has a very happy ending. So don’t be afraid to watch – see what can be done for animals when the right, caring people come along. IMPORTANT – Please go to the end of this post and make sure you give a donation to help AAU saving very sick animals – thank you. When we got a call on our helpline to rescue an injured street dog we found an emaciated and almost life-less old dog in a sewage drain. She had a massive wound on the side of her neck infested with maggots and she was too sick to get out of the sewage water she had fallen in. She was utterly hopeless and had we not been able to rescue her just then, she would have certainly died right there in that drain, possibly within just another hour or two. We rushed her back to Animal Aid Unlimited’s shelter and began her intensive treatment which would continue over the next 6 weeks. Shanti wouldn’t be alive today if not for your generous help. She would have died alone, confused, in terrible pain and so scared in that awful sewage drain. The suffering she was enduring when we found her was unimaginable and something most of us will never come close to experiencing in our whole lives. Thanks to your help we were able to stop that suffering and replace it with comfort, healing and love. Several of the animals you’re about to see in this video were going to die within hours and maybe within minutes–and in truly ghastly ways. But we got there in time, all hands on deck. And you–donors and supporters–you gave what it took to add people power, machines, vehicles and know-how.We’re pretty sure your heart will overflow for these incredibly brave animals. The choice to make the world a beautiful place is ours. they came so close to tragedy. And their relief when they were saved is unforgettable. Your heart is sure to overflow seeing these 5 beautiful animals saved. Unimaginable pain seared through her when this sweet girl was viciously attacked with acid. All the layers of her skin down to the muscle dissolved. When we rescued her, we promised her she’d have our love forever. We worried that such cruelty might have permanently hurt her soul. But watch how Honey responded to love. Most Indian police are not familiar with animal protection laws because the public rarely reports cruelty to animals. 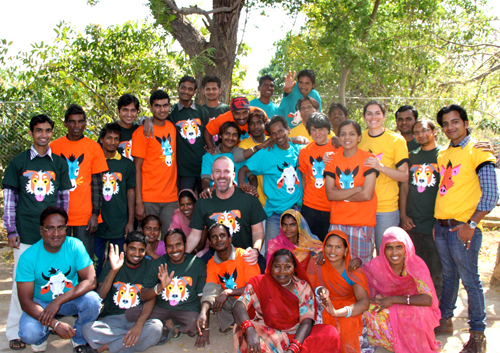 But Animal Aid helped make sure that Udaipur’s police ARE familiar with the laws. In April, we organised a workshop on animal protection laws for police officers in Udaipur, covering how to stop illegal cattle smuggling and slaughter, cruelty to street dogs, wild life poaching, and other critical issues. Outstanding presentations by People for Animals and Humane Society International, India, provided them with information and inspiration. The officers care about animals and Udaipur’s future of region-wide compassion has grown in a profoundly important direction. Locked inside what was almost literally her shell, this street dog had such severe mange that barnacle-like crusting was taking over her body. Starving, her pain excruciating and weary from the itchiness caused by mange mites under her skin, this girl was close to giving up. Healed, spayed, vaccinated, and loved, meet Cherry today. Hit by a car probably just a few hours before we got the call on our rescue helpline, this little sweetheart couldn’t understand why his back legs just would not work. You can see it in his eyes from the first moment, his profound innocence and confusion. It doesn’t happen very often but sometimes, when nerve damage is caught early and intensive treatment and physical therapy is started right away, there can be reason to hope, and that’s what Georgie did. He hoped. Now get your cash out ! Now you have seen all the excellent work by the team at AAU, is it not worth giving them a donation to help continue with their amazing rescues ? Click on the following link to donate thank you – from SAV and the entire team at AAU. Suffering For Tourism ‘Fun’ – Suffering The Big Pity In The Big City. Lucky, that the accident did not work properly; really a pity! I dream about the day that a pitiful slave like you, who has to suffer for years under all kinds of beatings, abuses and humiliation, finally raises his head and does not storm on a car, but on his torturer. He kicked him with his trembling feet, on which he cannot even stand, because he is tired and weak, he pushes him with his head, which can only point forward because of a multitude of cutting chains and bridles punishing his body, and sends the sadist with life-threatening injuries there, where he belongs. It would also be best to eliminate the un-educated carriage riding idiots alike, making the fat tourists walk for once, turning them instead into beings who don`t want to burden natures wonderful creatures by supporting an animal abusive industry making a living being a mode of transport for their overweight ‘fun’. For the first time it was not bad – Lucky. But the second time, possibly it works better. A Beautiful Little Visitor. Who Is A Pretty Cat Then ? This little cat comes round home every few days. 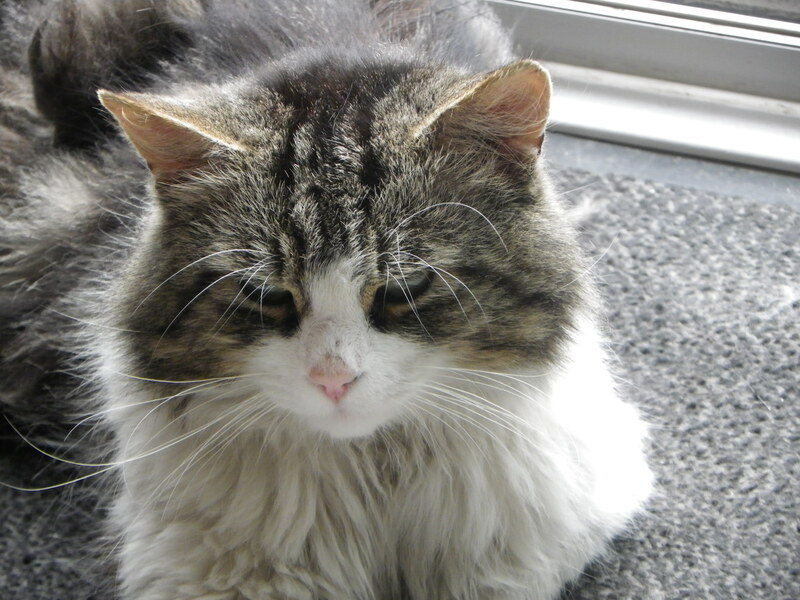 He gets a nice bowl of food, biscuits, lots of attention – and then he disappears for another few days. 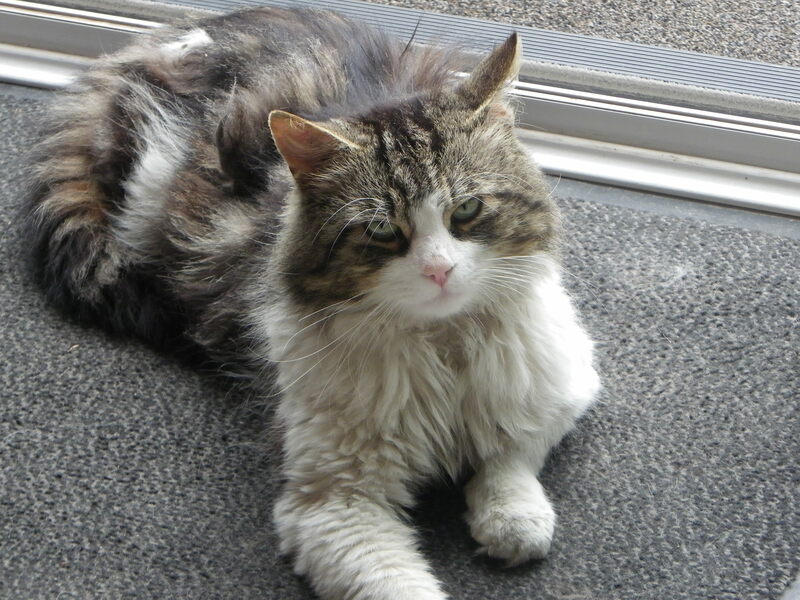 He is a favourite; such a pretty little cat as you can see from these photos taken of him on 29/5 – having come into the house, had his food and now just crashing out in the lounge by the big door leading into the back garden. 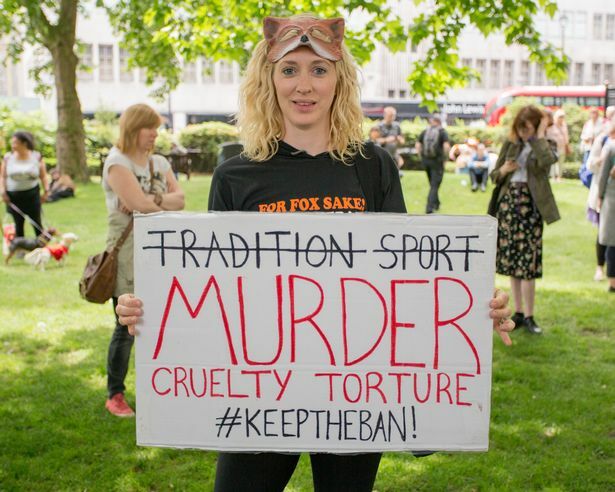 England: 29/5/17 – Huge Turnout At London Demo Against Hunting Return. Mums looking after their babies – the most natural thing in the World. Humans, Foxes, Deer, Hares, whatever ! So why kill mum foxes and leave their babies to die back in the den ? That’s why people gave the government gripe in London on 29/5 ! Excellent turnout sending a big message to the government. we have repeated a few here but for Copyright purposes we need to direct you to the Shutterstock site for some great pics. For non UK visitors – we have a General Election here on 8/6/17 to elect a new government. In the UK we have 2 main political parties – Conservative and Labour. The Conservatives are basically the same as Republicans in the US – all about money, their interests and very little else. Labour is a ‘normal mans’ party. The Conservatives are currently the government under the PM Mrs. May. 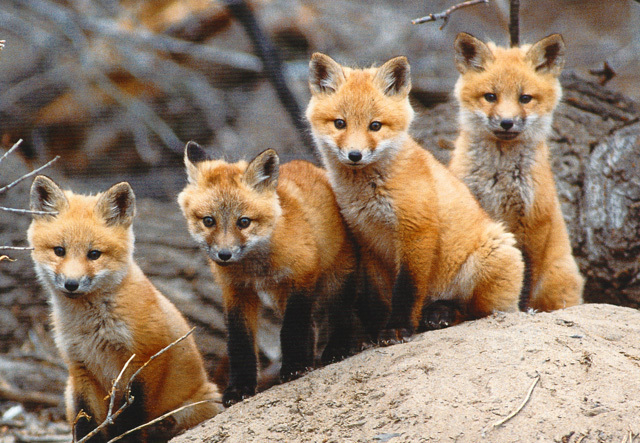 Labour was the party that introduced the hunting ban around 11 years ago. May and Tories now want to try and bring it back – hence the demo in London on 29 and the several references to ‘May’ – this being T. May, the Prime Minister. David Cameron (remember him ?) was the Conservative PM before Mrs May. Cameron was a hunter; and the Tories are always really viewed as the hunting party of British politics. Most now ask; with the hunt ban in place for 11 years; why do the Conservatives want to try and bring it back ? Because Conservatives are looked on as the upper class; the land owners with a blood lust for hunting innocent wild animals. 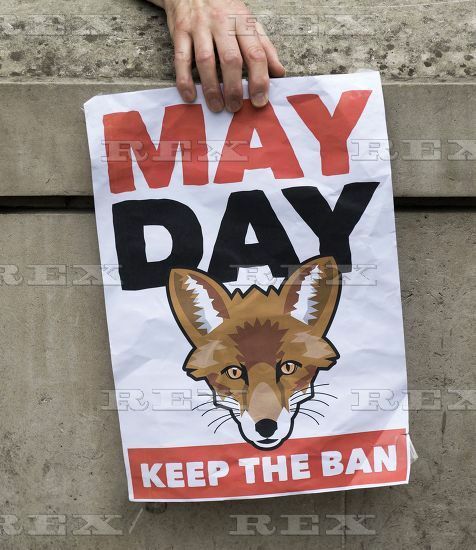 Labour have pledged to fight to keep the ban, and improve legislation even more if necessary. Labour is led by Mr. Corbyn. So now we are into the last 2 weeks before the election. A few months ago the Conservatives were way ahead, but now Labour are steadily catching up. The Conservatives (Tories) have done a U turn on Ivory for example – https://serbiananimalsvoice.com/2017/05/26/uk-conservatives-to-u-turn-on-ivory-ban-please-take-action-before-the-8th-june-election/ — and are not at all animal welfare friendly. Labour are the very positive. Hunting of British wild animals is just one of many issues, but an issue that the British public feel very strongly about. It will be interesting to watch how the parties progress over the next few weeks and who comes out eventual winner. Many pundits say it will be the Conservatives, but they are very un popular because of a lot of their views on certain things. We shall see and will report the result on this site. London anti hunt demo on 29/5 newspaper links – note that articles may be biased depending on which political party the newspaper supports ! Horse Sense – Or Lack Of ?? 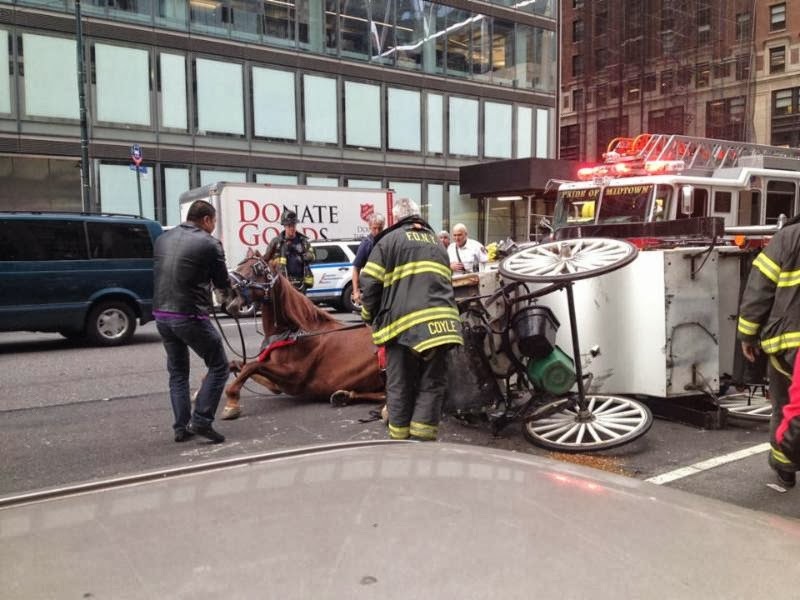 – News From The Coalition to Ban Horse-Drawn Carriages. What in the world is going on in Charleston?! On Thursday morning, May 25th, once again a horse spooked and bolted. The driver was unable to control him and fell out of the carriage, suffering severe injuries. He was hospitalized. Although the horse crashed into a car, he is said to be doing fine. This is media speak and we do not believe it — but these are the reports. Charleston media is obviously trying to protect this industry from well deserved criticism. This is one of the first articles about the accident. Click Here. A local resident who witnessed the accident told us: “The horse [Luke] was running at full gallop, passengers screaming like they were on a roller coaster. All the horse was trying to do was ‘run home.’ He was terrified, so he ran to where he knows. Hitting all the parked cars and then finally being stopped by running head on into a parked car.” It is bad enough that Charleston has punishingly hot heat and humidity, but it seems their drivers do not know how to handle huge draft horses. We say once again that horses do not belong on the crowded streets of any city — especially Charleston. Because of their sensitive nature, they can spook at the slightest provocation and bolt into traffic, causing injury or death to themselves, their passengers and driver or unsuspecting passersby. These large, powerful animals can weigh between 1,500 to 2,000 pounds and can become unwitting weapons when they try to run away from their source of fear. Why is the City of Charleston continuing to allow this dangerous and frivolous business to continue? How will this touristy city handle it when a tourist gets killed or very seriously injured? Will they continue to make excuses or will they finally put an end to this business as they did recently in Mumbai, India and other cities around the world. NOTE: for those who missed our recent issue about Charleston carriage horses, Click Here. The City of Melbourne is trying to reign in its carriages. This is a weak attempt but at least it is something. NYC has done nothing to deal with crowded streets, u-turns and overloaded carriages. 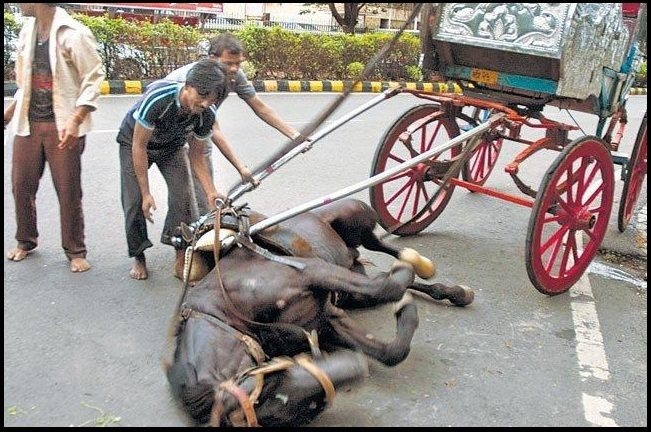 A bizarre accident in India resulted in the death of two horses who were pulling an empty carriage. Warning: graphic video may be disturbing. Click Here. WHY WE SHARE THIS NEWS? 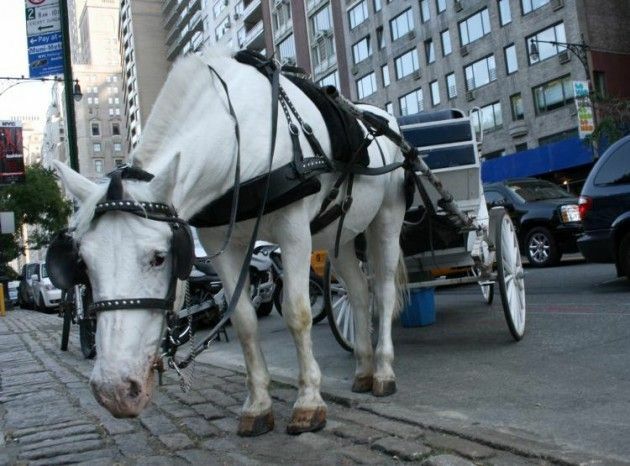 Horse-drawn carriages that engage in hack line trade in busy cities are inhumane, unsafe, antiquated and frivolous. 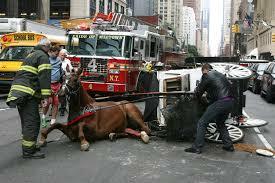 There have been activist campaigns in many cities all over the world to ban horse-drawn carriages. Only a few have been successful. It is a very difficult task because it is institutionalized cruelty and in many cases, supported by the local media and politicians who have questionable honesty and ethics. But is is important to share these accidents with the world. This is not about horses doing noble work. When used up and no longer wanted, the horses often go to auction and slaughter. 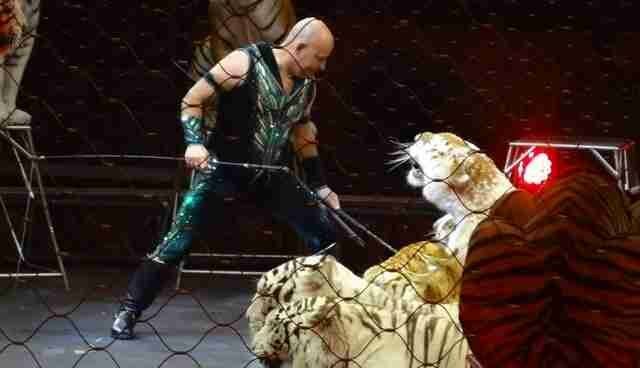 USA: Breaking – The Show Must Go On – Ringling Bros Circus To Send Tigers To German Circus ! Ringling Bros. and Barnum & Bailey Circus just held its last show ever on Sunday — but life could be getting even worse for the circus’ tigers. Feld Entertainment, the parent company behind Ringling Bros., has applied for a permit to ship eight of its tigers overseas to a circus in Germany instead of retiring them to a sanctuary, according to documents provided to The Dodo by the Animal Legal Defense Fund (ALDF). 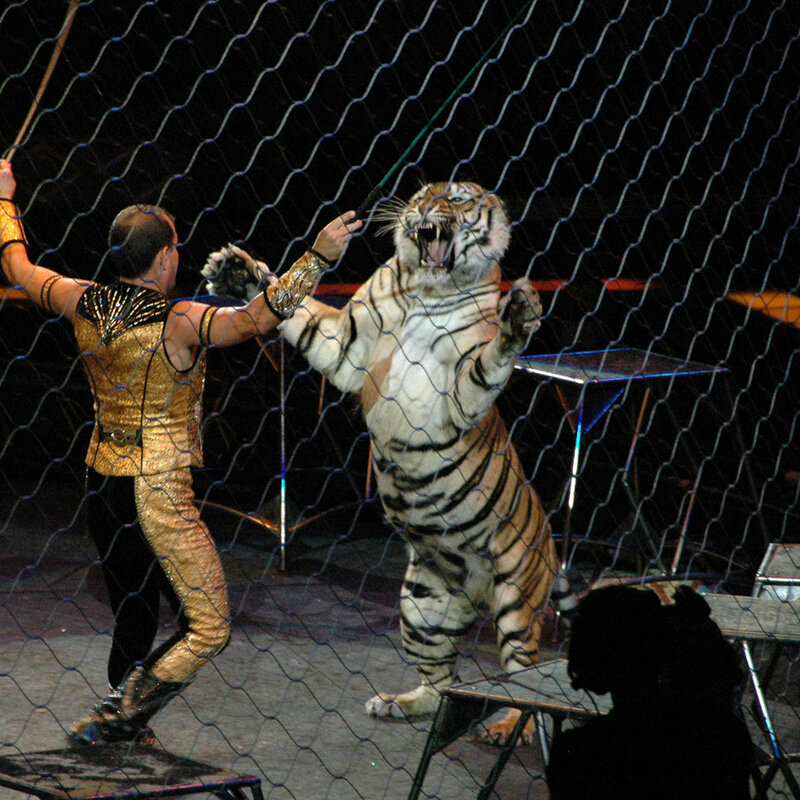 In the notice, Ringling claims the tigers would serve “to enhance the propagation or survival of the species,” a requirement put in place by the U.S. Fish & Wildlife Service (USFW) to ensure endangered species, like tigers, are only shipped for conservation purposes. But according to ALDF, this requirement doesn’t always receive the scrutiny it deserves. The announcement comes as a blow to animal lovers throughout the country, many of whom hoped that Ringling’s January decision to close its doors for good would mean its animals would finally be able to retire to more natural lives after years of mistreatment. Ringling Bros. has been dogged by accusations of animal abuse for decades, ranging from suspicious deaths of elephants to the brutal training methods used on young calves who had been torn away from their mothers. But while most of the public attention has focused on the plight of Ringling’s elephants, the circus’ big cats were living an equally depressing life. An undercover report published last year described life as a “nightmare” for the tigers. They spent most of their lives packed into tiny cages in parking lots or behind buildings, devoid of water to swim in or room to run. Tigers are solitary, and this closeness led to frequent fighting — many tigers were covered in scars, and others had cracked paws or pressure wounds from living on the unnatural concrete. Jay Pratte, an animal trainer with 25 years of experience who conducted the investigation, said he saw tigers display signs of mental distress, such as compulsively over-grooming themselves until their skin cracked or pacing their cages obsessively. When Ringling’s elephants were retired last year, they were sent to the circus’s Center for Elephant Conservation in Florida, the controversial breeding and training ground where many of Ringling’s alleged abuses took place. It’s still unclear what life is like for the elephants there, or if they will continue performing in some capacity. But now it seems the tigers’ future is even more murky. 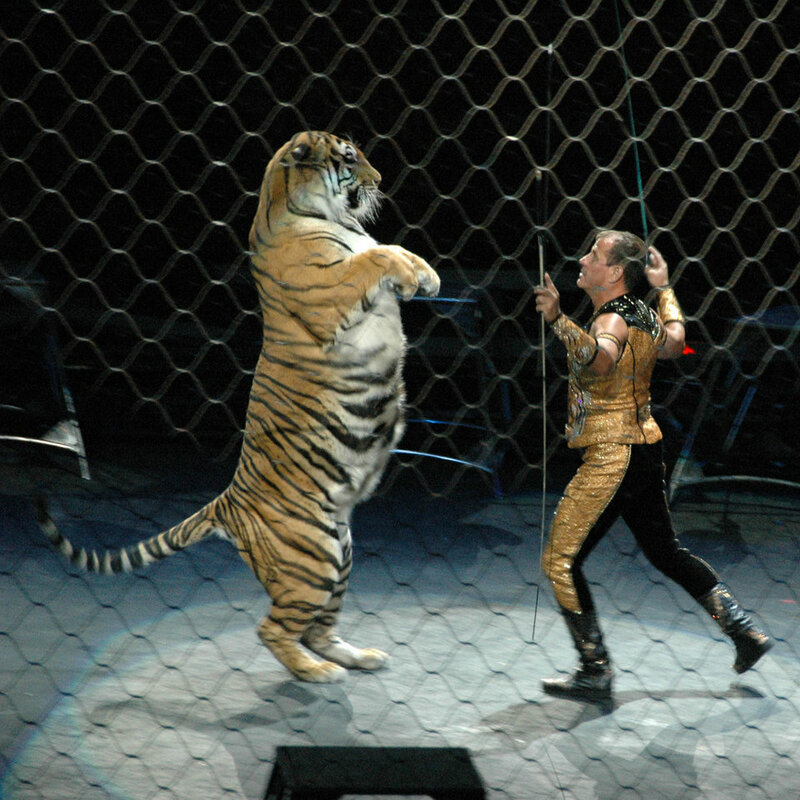 If the permit is approved, the eight tigers will be sent to Zirkus Crone, a circus in Munich that’s had its own share of abuse accusations — including claims that many of the circus’ animals, similarly to Ringling, are suffering from arthritis and mental distress and are denied proper living conditions. 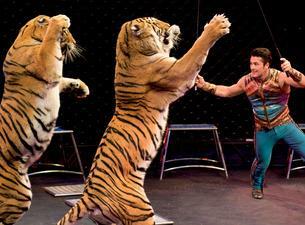 To help stop these tigers from being sent to another circus, you can submit a comment asking USFW to refuse the permit. England: Leopard Spotted In London Town. 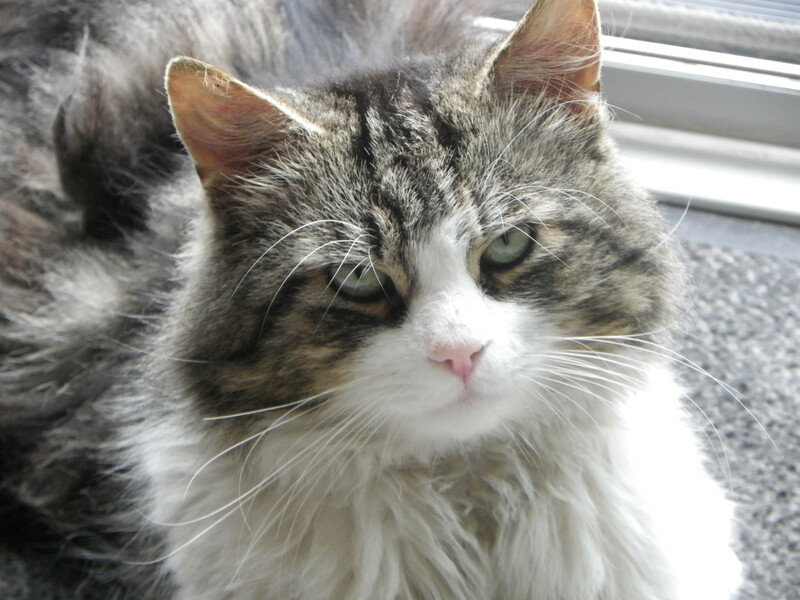 ‘Lily’ in London to show the plight of wild big cats forced to live in urban areas. Info at the end of the video – Enjoy ! – and its NOT a real leopard !